The Cleveland Cavaliers are in full-on spin mode as they try to cast their own players as the villain behind their current quandry, but don't buy it. 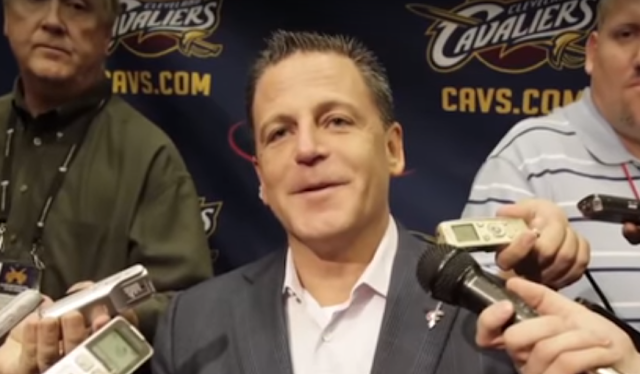 As the folks from Sports Illustrated discuss in the video above, Dan Gilbert's penny-pinching and invasive approach to ownership are the real reason behind Kyrie Irving's unhappiness. Personally, I think this is a likely manufactured crisis, created to force out his costly players before a massive luxury tax bill arrives on his desk next spring - and I don't know about you, but I would be thanking Mr. Gilbert for hobbling his team if it didn't mean having to spend time with the odious man.